Unbeknownst to many tenants, landlords and property managers are usually open to negotiating lease terms. After all, it’s a way of keeping vacancy rates low. If you’ve found the rental you want and would like to work on the lease’s terms, here are five tips to keep in mind. Be open about essential features and deal-breakers. Early on during the search, it helps to be open about your must-haves as well as deal-breakers. By doing so, you’re giving ample room between you and your prospective landlords to work out some issues. If you can wait, however, negotiating about certain rental features or terms of the lease is also possible during your tenancy. This is especially true if you have established yourself as a good tenant, with an outstanding relationship with your landlord. Features and deal-breakers that are incredibly important to you, however, should be discussed right from the start. Negotiate with a private landlord. Private landlords, as opposed to property management companies, are considerably more flexible when it comes to negotiating. They are their own bosses, with no rules or guidelines to follow. By working with a private landlord, you’re increasing your chances of getting a better deal. Negotiating with a large apartment complex is still doable, but they will be more rigid to adhere to their guidelines. Learn about HOA rules before negotiating. While you can certainly work some terms of the lease to your advantage, some rental properties have non-negotiables. Look up these items and inform yourself about existing rules and policies (and HOA rules, if there are any) so you can steer clear of these areas. Some of these policies might even be considered deal-breakers for you, so don’t hesitate to ask during your search. Generally speaking, landlords are open to negotiate in the following key areas: renewal terms, rent prices, lease start dates, and subletting approval. Some rental properties are strict with certain policies (ex. “no pets allowed) while some are more flexible. A lot of people forget that negotiating is a matter of giving and taking. You can ask for something, but you will have to do something in return. Instead of thinking, “I can get this,” when negotiating, think of what you can do to get the terms you want. In the previous item, we touched on strict to flexible pet policies. If you would like to move in with a pet to a rental that has strict pet policies, consider offering making a deposit or even a separate rental fee for your companion. In negotiating, landlords will turn down some of your proposed arrangements. Just keep making offers until your landlord meets you halfway. Of course, if the matter is non-negotiable (and with good reason), respect the policy. Make sure everything is written down. 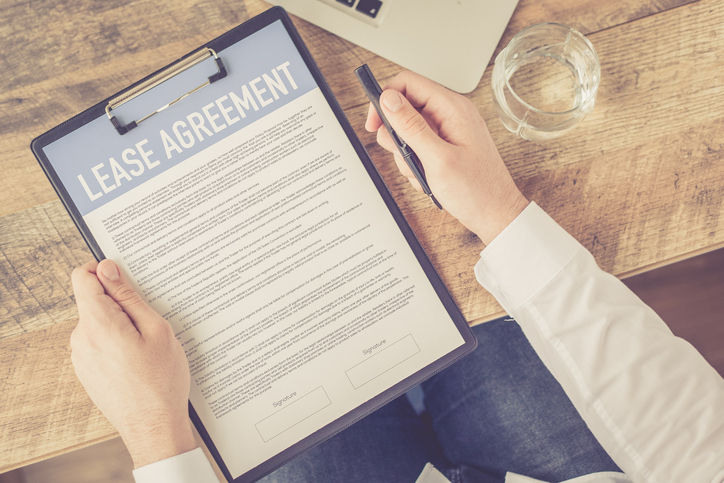 Verbal agreements don’t hold much weight especially when it comes to negotiating lease terms. It is only official if it is written down properly in the contract and signed by both parties. In case your landlord backs out on the agreed terms, the written lease will give you leverage. Ray Amouzandeh of TARGA Residential Brokerage knows all about the best rental listings in the city. Contact him today at sfhomez(at)gmail(dotted)com or (415) 494-7009. You can also browse this website to learn more.